It was an occasion many people thought they would never see. 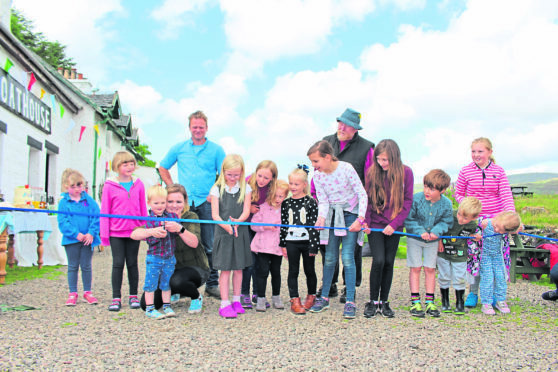 But yesterday, as a group of schoolchildren from Ulva Ferry School witnessed a ribbon-cutting ceremony, the little island passed out of private ownership and into the hands of the local community. 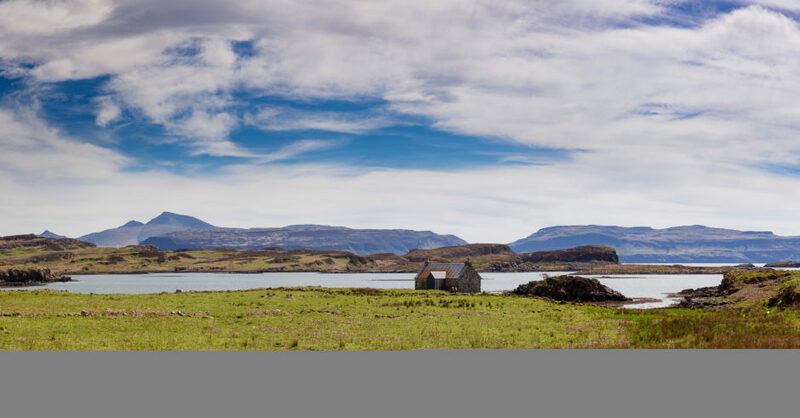 The bid by the North West Mull Woodland Company to purchase Ulva was launched a year ago when the former owner, Jamie Howard, decided to put the estate on the market. And, following a lengthy and complex process, a Community Right to Buy was granted for the bulk of the estate, which was valued at £4.65 million. The bulk of the purchase price and assistance with project management over the first two years has come from the Scottish Land Fund, which provided an unprecedented £4.4m towards the NWMWC’s plans to repopulate the island and transform it into a vibrant site in the future. Right from the outset, the residents have thrown themselves whole-heartedly into the buy-out initiative and expressed their determination to take control of their own destiny. At its height, Ulva had a population of over 800, but that has decreased to fewer than 10 who live permanently on the Inner Hebridean locale. However, one of them, Rebecca Munro, said yesterday: “I believe the people who live and work here are best placed to run the island. Ulva has been in decline in recent years, which was one of the reasons why Mr Howard chose to sell it. But now, there is genuine optimism that the idyllic island will be revitalised, not least as a thriving centre for tourism. Roseanna Cunningham, the Scottish Government’s Cabinet Secretary for Environment, Climate Change and Land Reform, is among those applauding the buy-out venture. She said: “This is an historic day for Ulva and I would like to offer my warmest congratulations to the NWMWC for seeing the sale through to its conclusion. Although the residents were celebrating on the longest day of the year, they recognise that a lot of hard work requires to be done. John Addy, a director of the NWMWC, said: “We are grateful to Highlands and Islands Enterprise for their support for the feasibility study and business planning which was so important at the outset. “To all our supporters, we want to say a big thank you for helping us to make this happen. “People tell us that the really hard work is just about to begin and, of course, they are correct. Ulva was the birthplace of Lachlan Macquarie, who lived from 1762 to 1824, was a governor of New South Wales and is regarded by many people as the “Father of Australia”. And the NWMWC said: “We were delighted to receive the enthusiastic support of the Macquarie Group, which we approached at an early stage, via their Green Investment Group based in Edinburgh. Links have already been established between the Ulva residents and the National Trust for Australia, which has pledged to promote the island. And David Fass, chief executive of the Macquarie Group, added: “We have been impressed by the entrepreneurialism and drive which has been shown by the islanders. As the festivities commenced, Mr Addy had a few final words.